Now more than ever college students rely on the Internet to get their work done. From online college courses to researching term papers and getting online help with math homework, the Internet is a crucial central part of the college students learning experience. Google Chrome is an excellent Internet browser that students can use to take full advantage of their online learning experience. Besides being the fastest Internet browser for most web surfing scenarios, Google Chrome also offers a wide range of free open source add on tools, called Chrome Extensions;. 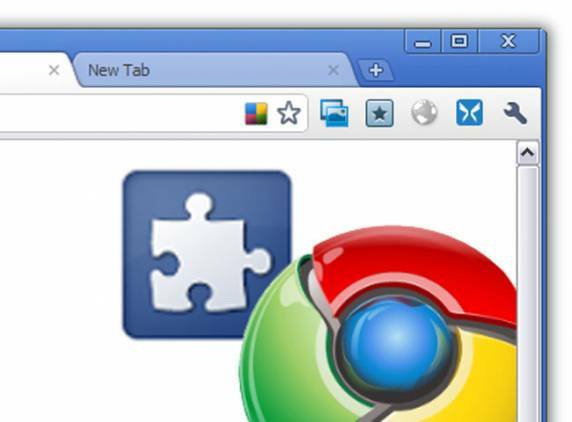 Here is a list of some of the best Google Chrome Extensions for college students. While the Internet is a great tool for connecting with peers, professors and experts, it can also be a real time drain when time is spent unwisely. The StayFocused app helps you focus on important tasks on the Internet without getting bogged down with constantly checking your friends’ Facebook status or going through endless Reddit posts. This app works by limiting the number of minutes per day that you allow yourself to stay on any particular site that you program in. So, for instance while you may want to be able to spend unlimited amounts of time at websites assigned by your professor, you can limit your daily time to sites like Reddit to one or two hours. One of the biggest lifestyle changes for students leaving home for college for the first time is the change in eating habits. As a full time student with a limited budget, it can be difficult to keep healthy eating habits at college. The Diet Diary extension can help you keep track of what you eat on a day to day basis, and also help you track your ideal weight and set goals for yourself to help you achieve your weight and healthy eating goals. If you are looking for a good read but do not have the money to spend on the latest best seller at the corner bookstore, the Open Library Book Search extension may help you find a good read at a great price – that is, free! The extension searches the openlibrary.org database to find books that are free to read. This is a great extension whether you are doing research for a term paper or just trying to get a juicy bit of fiction to read between classes relax a bit. College students often find themselves with multiple email accounts assigned and used for different purposes. Besides your personal email account, you also may have a high school account, any other special purpose accounts you may have set up for product or social site registration and now a student account from the college which requires regular checking. RapidMailReader is a Chrome extension that allows you to converge up to ten email accounts together to read at the same time. This is a great time saving app since it removes the necessity and confusion of having to check all of these accounts individually. WordStash is a Chrome extension designed to help you learn anything you need to learn based on flash cards. The app allows you to create a blank flash card based template and then enter in your own custom questions and answers. This is a great extension for studying for tests or just quizzing yourself on information you want to remember later. Utube Trends allows you to search YouTube for the most popular videos in a specified country. With the massive amount of YouTube videos uploaded every minute, this app is a great way to quickly find and share the best of what YouTube has to offer. Jason Phillips has authored this post. He thinks that east text colleges like SFASU are the best colleges to improve your academic score.